Wouldn’t you know it, not one but two renowned drink makers have traded in their dark colours for clear coloured beverages. Pepsi Japan, under distributor Suntory who also makes whisky, will be releasing a clear, tangerine flavoured soda named Pepsi White in December. This isn’t the first time Pepsi has released funky flavoured sodas for the Japanese market. In the past, Suntory has also developed and released limited edition sodas such as Pepsi Pink, Pepsi Black as well as seasonal flavours like Pepsi Salty Watermelon and Pepsi Ice Cucumber. Although the new Tangerine flavoured edition is being released as part of a seasonal campaign for the approaching New Year, Pepsi White has been released into the market before. In 2008, Suntory developed Pepsi White as a Yoghurt flavoured cola, only for Japan. 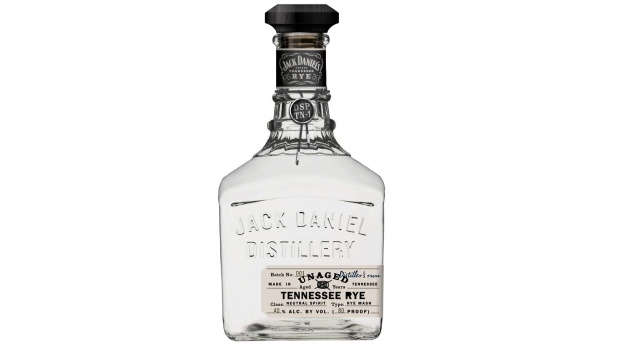 Pepsi however aren’t the only ones who have gone off script, Tennessee whisky brand Jack Daniels are primed to market a colourless, un-aged rye whisky for the American market. White Dog Whisky boasts a combination of 70% rye, 18% corn and 12% malted barley and it marks the first time since Prohibition the whisky maker has developed a clear whisky. “Rye was the predominant form of whisky prior to prohibition in our country. It has a long history but afterwards people’s interest in rye went away and bourbon took over,” offered Jack Daniels’ master distiller Jeff Arnett in the official release. He also added that whiskey enthusiasts and Jack Daniel's aficionados alike will enjoy discovering the new and unique tasting experience. Jack Daniels’ White Dog Whisky is set to hit the U.S. mass market early next year.